Occasionally we get to work on really challenging and interesting projects. 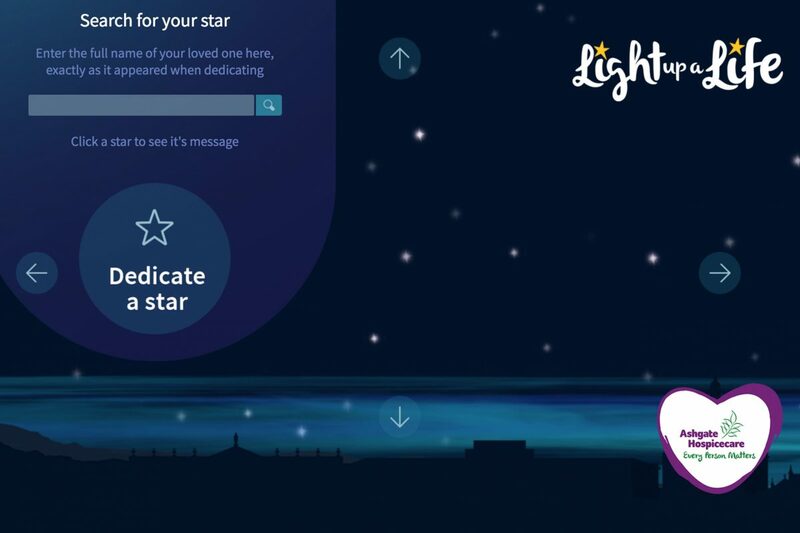 The Light up a Life website for Ashgate Hospicecare was one of those projects. The client, in a wonderfully trusting manner, gave us freedom to come up with the best way to represent the night sky along with stars that could be dedicated to a loved one. The biggest problem with the website was just how popular this way of remembering people has been, as the first 300 stars were dedicated almost within the first week!